Cash Bonds Require the Defendant to Pay the Full Amount of Bail. When you get arrested, chances are you will have bail set. When this happens, you may be thinking that you need to call a bail bond company. This may depend on what type payment the courts are demanding. 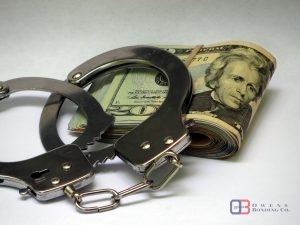 If they are asking for a cash bond, a bail bond company may not be able to help you. However, if you can get a surety bond, companies like Owen's Bonding Co. will be able to assist you. Call 866-830-2663 for more information about the different bail bond options. Bonds are used to pay bail. There are some significant differences between cash bonds and surety bonds. If you have a cash bond, that means the courts want the total amount of money right away, and they will not accept it from a bonding company. It has to be paid in full by you or a member of your family. Once you go to court, the money will be refunded, minus any court fees. Surety bonds are a bond between you, the courts and a bonding company. The bonding company pays the bail, and charges you a fee of some predetermined percent of the total bail. Once you go to court, the money will be returned to the bonding company minus any court fees. If you want to learn more about the difference between cash bonds and surety bonds, give us a call at 866-830-2663. We are here for all your bail bond needs. Posted in Uncategorized on September 26, 2017 at 4:51 pm by Owens Bonding Co..